Some of the past recipients of the awards include former U.S. Congresswoman Gabrielle Giffords, former Mayor Ora Mae Harn, Wheeler & Charlene Abbett, and Sargent Aerospace & Defense. This year the nominees were evaluated by a panel made up of Town staff and members of the Marana Citizens Forum. Ed Stolmaker receives the Branding Iron Award from Mayor Honea on the 2019 State of the Town stage. Previously having served as President/CEO of the Chamber of Commerce for 15 years, Ed Stolmaker has left a mark on the Marana Community. His partnerships with the town, businesses, and Marana Unified School District have played a major role in making it the fastest growing community in Southern Arizona. Ed led the effort to align the Chamber to address six key efforts: business development, economic development, public policy, workforce development, improving quality of life, and regional growth; all in an effort of building business and community relationships. During his tenure, the Marana Chamber of Commerce was named Tucson’s best chamber for three years in a row. He gave Marana a greater platform and stronger voice through his service on the board of Arizona Chamber Executives from 2005-2009 and again beginning in 2017. He also spent 10 years on the Marana Health Center Board of Directors and served as President of Sanctuary Cove's Board of Directors. Ed recently retired from his position as President/CEO of the Marana Chamber of Commerce, but he is still an active member of this community. Please join me in congratulating Ed Stolmaker for his impacts on the community. Norma and Victor Castaneda accept the Branding Iron Award from Mayor Honea on behalf of Marana Auto Body on the 2019 State of the Town stage. For the organization award, we would like to recognize Norma and Victor Castaneda of Marana Auto Body. They have brought many smiles to many faces, and they always work hard to make sure anyone and everyone in Marana is taken care of. They have been seen on multiple occasions at Circle K, McDonalds, on frontage roads and even in the desert helping others on their own time, free of charge. From helping with tows, jumping a car that is dead and even giving people on the streets food, these people are extraordinary with the largest of hearts. It's not all business for this small-town body shop. It's about helping the community and the people that live here. They truly make a difference. The Tangerine Road Corridor Project has been selected one of Public Works Projects of the Year by the American Public Works Association’s for 2019 in the category of Transportation - $25 million to $75 million. Tangerine Corridor Project won several awards. The APWA Public Works Project of the Year Award was established to promote excellence in the management, administration and implementation of public works projects by recognizing the alliance between the managing agency, the consultant/architect/engineer, and the contractor who working together to complete public works projects. Projects eligible in the Transportation category include roads, bridges, mass transit that serve any or all modes of travel, including bicycles and foot traffic. The Town of Marana partnered with the Town of Oro Valley, Pima County, the Psomas Design Team and contractor Tangerine Corridor Constructors (TCC) - a Granite Construction/Borderland Construction on the project, to improve a five-mile segment of Tangerine Road from Dove Mountain Boulevard/Twin Peaks Road to La Cañada Drive. Tom Houle served as the Project Manager for the Town of Marana. To be eligible for the national award, the project first had to be honored at the state level. The Southern Arizona Branch of the American Public Works Association also named it Project of the Year, Transportation, $25M-$75M category. The Deer Sculptures on Tangerine Road. The award level for the Tangerine Road, Dove Mountain Blvd./Twin Peaks Road to La Canada Drive Project will be revealed at the IPI Awards Ceremony luncheon on Friday, May 17. The project also received the 2018 Arizona Transportation Partnering Excellence Award. Jacob Cox accepts the Youth Legacy Award from Mayor Honea on the 2019 State of the Town stage. As part of the 2019 Marana State of the Town Luncheon last week, the Town handed out their third annual Youth Legacy Award. For the last three years, Jacob Cox has run the school supplies drive at Rattlesnake Ridge Elementary. He began in 2015 as a third grader, and the intent was to take school supplies with him on his summer trip to Peru and deliver to a small school in the mountains where many students didn't even have shoes to wear, much less have supplies to use for learning. Jacob expected to have a few handfuls of crayons, pencils and some notebooks to take with him, but when he went to pick up the supplies from the drive, the boxes were overflowing. The response from the students, teachers and parents were overwhelming. When he went back to school after his summer break in Peru, he made another presentation to his school with photos of some of the students who received the supplies. The joy on the faces of the students who were getting their very first backpack, or their own box of crayons for the first time, is indescribable. Jacob was limited on what he could take with him to Peru, so to ensure all supplies went to a new home, he worked with another school in the district to get the supplies to the teachers and students who needed a little help. Jacob went on to run the supply drive for the next 3 years, up until his last summer in elementary school in 2018. 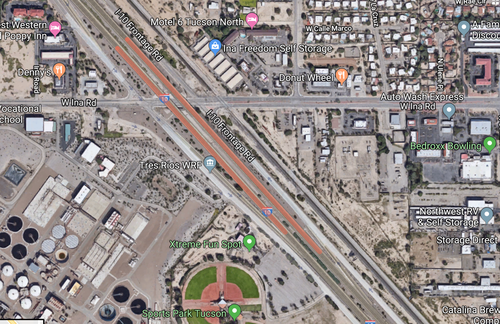 The eastbound Interstate 10 frontage road between Cortaro and Ina roads will revert to to a one-way road starting the night of Sunday, April 21. The frontage road will be narrowed to a single lane so crews can work on the slopes between eastbound I-10 and the eastbound frontage road. In addition, crews plan to pave the eastbound frontage road between Cortaro Road and Starcommerce Way starting the night of Friday, April 26. That will affect traffic on both Cortaro Road and the frontage road. Additional details will be released next week about this work. The eastbound frontage road on I-10 will revert to one-way configuration beginning April 21. The Town of Marana is currently working on the Coachline Blvd. Reconstruction and Pedestrian Crossing Improvements. The work is being completed by Sunland Asphalt & Construction. -On Friday, April 19th, the contractor will begin the reconstruction of Colony Park Drive, from Coachline Blvd. to Weather Hill Drive. During this work, Colony Park Drive will be open to local traffic only and construction will last approximately 2 weeks, weather permitting. 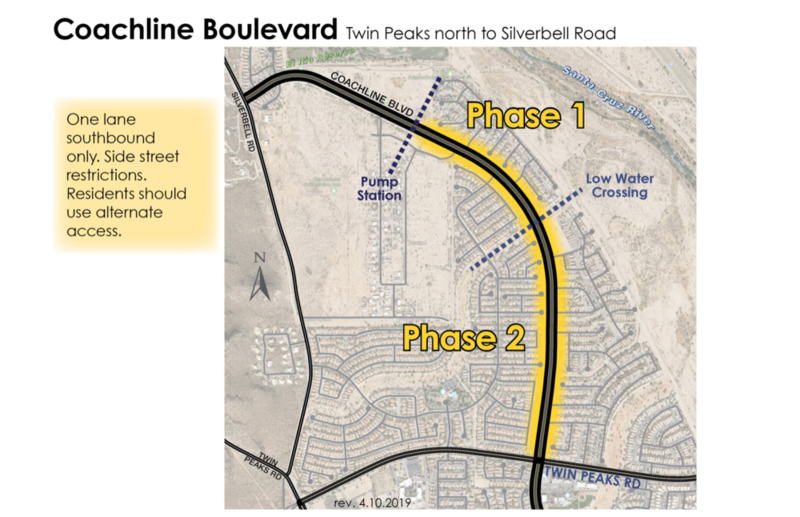 Once this northern portion of Coachline is complete, the contractor will begin the reconstruction of Coachline Blvd., from the low-water crossing on Coachline Boulevard, between Idle Wild Drive and Armor Crest Road, to Twin Peaks Road. (See map – Phase 2). Due to the existing roadway width, these phases of work will require restricting traffic in a one-way (southbound) only configuration. Northbound Coachline Blvd. will be completely closed. Work on both phases of Coachline Blvd. is expected to be completed in early June. Scheduled dates are weather dependent. Americans with Disabilities (ADA) ramp removal and replacement on streets and sidewalks. Temporary driveway access restrictions while crews are in front of homes and/or businesses. Travel lane restrictions and short-term sidewalk closures while ramps and crossing signals are upgraded. Please DO NOT park vehicles in the area of construction as they will be towed at owner’s expense. Bicycle traffic will not be permitted through the work area. Pedestrians will be permitted along Coachline Blvd., but be aware of equipment and workers in the construction area. Residents and the traveling public should watch for heavy equipment in and near the construction area. For the safety of you and the workers, please comply with traffic control devices, flagging personnel, and detour signs. Updates will be provided periodically. For additional project information, call Tom Houle, Town of Marana Project Manager at 520-382-2684 or Kathy at 520-885-9009. The Town of Marana is nearing the completion of the paving portion of the Ina Beautification Project. The week of April 15 all of the paving on side streets north of Ina Road was completed and mainline final paving for Ina Road will begin the week of April 22. Expect heavy delays of up to an hour near work areas and avoid work areas if possible. The paving will begin Monday, April 22 and be completed by Friday April 26, 2019 Ina road from Ulene Place to the Canada del Oro Bridge. Construction will begin at 6:00 A.M and continue through 6:00 P.M.
Striping and painting will begin Monday, April 29, but is not expected to cause any delays. Mayor Ed Honea speaks at the 2019 Marana State of the Town held at the Ritz-Carlton, Dove Mountain. MARANA - Mayor Ed Honea along with members of Town staff gave a presentation at the annual Marana State of the Town luncheon held at the Ritz-Carlton, Dove Mountain on Thursday, April 18. Topics discussed included latest developments, parks and recreation programming, and strategic planning for the future. Marana is one of the fastest growing communities in Southern Arizona. This past year, over 800 new single-family resident homes were built, yielding approximately 2,300 new people moving to the Town of Marana and making our population surpass 48,000 people. Increased development has led to the creation of a new Marana Unified School District School in Dove Mountain, and a new Northwest Fire District station in both Dove Mountain and Gladden Farms. Marana welcomes the film industry to the region with the opening of Modern Studios. Located near the AZ Pavilions Shopping Center, this 12,000 square foot facility features 7,000 square feet of production studio space, more than any other facility in the entire state. It also features the most advanced high-speed camera in the film industry, the BOLT Highspeed Cinebot. Two new Parks and Recreation facilities were opened to the public, including Tangerine Sky Community Park in northeast Marana and the Crossroads at Silverbell District Park Splash Pad. A brand new Parks and Recreation mobile app takes program accessibility to a new level, where users can now stay up-to-date with park closures, programming events, and trail conditions. Users can check the status of their favorite park amenities in real time, and sign up for activities. In North Marana, the Town completed the new water reclamation facility and aquifer recharge facility. These plants can now handle up to 10,000 new homes or businesses coming into the area. The recharge facility will receive credits for 100 percent of the water stored from the Arizona Department of Water Resources. These credits allow the town to provide safe, reliable, and sustainable resources for our customers, and it secures Marana’s water needs for future generations. In December, the Water Infrastructure Finance Authority of Arizona approved a $15 million-dollar loan to the Town of Marana to address the issue of unregulated compounds affecting two Marana Water systems. Staff is now working on the design and construction of two unique advanced water treatment plants to reduce or remove those unregulated compounds. After nearly two years, one of the region’s largest projects has come to completion. The reopening of the Ina Road Interchange has revitalized our major commercial hub making it a destination once again. 2018 also saw the grand opening of the new Police facility located at the Marana Municipal Complex. This building was the result of months of public education and outreach, years of planning and development, and paid for with a community-supported half-cent sales tax. The Town of Marana is designing the blueprints for the future. Important documents in the works include the 2040 General Plan Update, Land Development Code, Marana Parks and Recreation 10-year Master Plan, North Marana Drainage Study, Sewer Conveyance Master Plan, and Potable Water Plan. Economic Development Specialist Heath Vescovi-Chiordi speaks on the development in Marana. Marana is one of the fastest growing communities in Southern Arizona. This past year, over 800 new single-family resident homes were built in our community. By our calculations, this yielded approximately 2,300 new people moving to the Town of Marana, making our population surpass 48,000 people. Because of this rapid and sustainable growth, developers have plans to expand those numbers and challenge the 824 single-family home permits we issued in 2018. Right now, we have ten new subdivisions with 1,500 new lots planned throughout the community, including the Gladden Farms area, Dove Mountain area, and Saguaro Bloom. This year, Encantada at Continental Reserve began construction. The addition of this 304-unit multifamily residential product gives rise to new living opportunities for both young families and young professionals alike. With this addition of multifamily housing to Marana, we position ourselves to better attract and retain a newer skilled workforce. In addition, this housing product will help increase the critical mass of people in this area that is necessary for further development of quality retail, restaurant, and other valuable commercial activities. 2018 saw many new businesses and restaurants come to Town, which not only enriches the local economy and quality of life in our community, but serves as great destinations for people passing through or visiting our beautiful region. Last year, the new Hampton Inn & Suites at Marana Center opened next to the Tucson Premium Outlet Mall, creating an amazing retail opportunity for our region. With the pairing of the hotel and the luxury shopping experience at the Outlet Mall, Marana is now able to attract a significant number of travelers from Mexico who come solely for the purpose of shopping and staying overnight in our community. This retail-tourism helps contribute significantly to our sales tax and bed tax, allowing the Town to continue its strategic efforts related to Tourism-based Economic Development. Not only has Marana Center attracted multiple types of new developments, but it has become an area of note in our region, helping to solidify the identity of Marana in Southern AZ. In 2019 we will welcome Dutch Bros., located at Cortaro Road and Interstate 10. Dutch Bros. will be just one small part of a larger master development on this corner. Also, in this new retail and service center, we will see a new 32,000 sq./ft micro hospital featuring a 14-bed emergency department and two operating rooms. ATI Physical Therapy will also join the mix, as well as a Tucson area favorite- Serial Grillers. Top Golf celebrated their first full year here in Marana, and continues to be a destination for people all over our region. Playing sports is a vital past time in this community, and we are so excited to welcome the Hitting Factory for ball players both young and old. Modern Studios in Marana, Arizona. In the spirit of Tourism, The Town of Marana has also bid welcome to a new type of entertainment industry sector with the opening of Modern Studios. Located near the AZ Pavilions Shopping Center, this amazing 12,000 square foot facility features 7,000 square feet of production studio space, more than any other facility in the entire state. Including two studios, dressing and makeup, a post-production editing suite, and the most advanced high-speed camera in the film industry, the BOLT Highspeed Cinebot, Modern Studios truly has revolutionized the film production game in Marana and the entire region. Medical and healthcare is an industry that is finding a home in the Town. Last year we welcomed the Northwest Emergency Center at Twin Peaks, and the Watermark at Continental Ranch Senior Living. 2019 will see a continuation of that, as the Carondelet Health Network Micro-Hospital and Dove Mountain Senior Living facilities will open. With the healthcare industry rapidly expanding, and Marana seeing much benefit from this expansion, we will continue to facilitate appropriate healthcare sector development to add quality jobs to our community, and quality services for our residents. To that point, we are currently working on six expansions of current businesses within the Town, and two brand new locates. Due to the Town’s growth, Northwest Fire District is relocating one of their stations, and building a brand new one to better serve the Marana community. Station 37 in Dove Mountain is moving to its new location near the Gallery Sports Club. Upon its completion later this year, Station 37 will better serve the northern portions of Dove Mountain, while Station 39, located at Thornydale and Tangerine, is optimally located to serve the southern portions of Dove Mountain. The resurgence of development in the Gladden Farms community has also spurred the construction of Station 41, located on Tangerine Road near the Gladden Farms II development. This station will improve response time and increase overall safety in north Marana. Dove Mountain CSTEM K-8 School. Growth also means more schools. The new Dove Mountain CSTEM K-8 School opens this fall, providing even more opportunities for our children to get a good education. Students will experience rigorous computer science, technology, engineering, and math academics with direct relevancy to real-world challenges. At the Town of Marana, we pride ourselves on being business friendly, but to do that we have to continue to evolve and innovate. This year, we will begin using a new business license software package that will aid in making the process easier than ever. By streamlining several processes and procedures, and making the overall process easier to understand, this will allow future business development in the Town with even more ease than we currently offer. When you come do business in Marana, you’ll quickly find out that Marana means business. Technology Services Director Isaac Abbs speaks on quality of life in Marana. It is important to invest in the qualities that make living in Marana meaningful. And for our residents, we understand how important the everyday experiences are for you and your family. Whether it’s participating in your very first race, teaching your child the fundamentals of a new skill, or enjoying a walk outside in nature, we understand how impactful those moments are and why having a strong quality of life means having a strong Parks and Recreation department. I am excited to share with you the following accomplishments from the past year. Marana Council cut the ribbon on two new attractions. Tangerine Sky Community Park is the first major public park serving our northeast Marana residents— nestled in the natural desert environment against a stunning Tortolita Mountain backdrop. It features ramadas, playgrounds, trails, dog parks, ziplines, and a basketball court. The field is even powered to accommodate small concert events, including our free Movies & Music in Marana series. Located in the heart of Continental Ranch, the new Crossroads at Silverbell District Park splash pad enhances an already robust district park where families can now splash in the water by day, and enjoy a stunning light show by night. 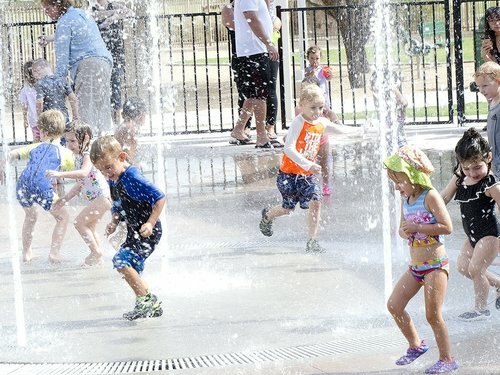 The splash pad is located close to the existing playground area and several ramadas, making it the perfect destination for parties. And when the July 4th Star Spangled Spectacular comes around this year, the music, fireworks, and water will top off a perfect evening with your family and friends. Both amenities bring new recreational opportunities to key areas around the community. Vibrant and dynamic communities are where residents can walk to, and from, a park in just minutes. Now, both north, south, and east Marana have access to park amenities and programs. 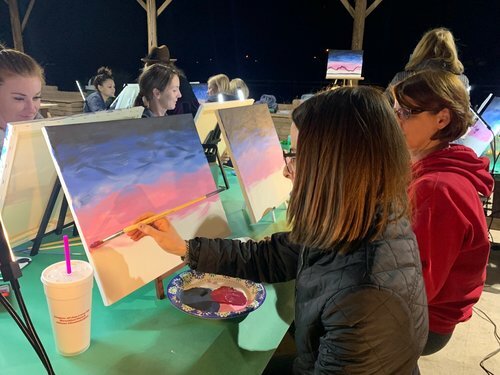 The Town also grew its recreational offerings this year by 30 percent, including horseback riding, art expos, job training, painting in the park, and musical theatre. We also created two inclusion programs for our residents with special needs. Last year, Marana Parks and Recreation began offering Sensory Splash classes at the Marana Pool where people can meet up in a safe, positive and inclusive aquatic environment. Cape Chase Adaptive Fun Run. This year, the Cape Chase Adaptive Fun Run debuted with over 120 participants. Young athletes with special needs traveled through a sensory obstacle course, including a cone maze, bubble pit, and mirror tunnel—all while dressed as their favorite super heroes. Experiences like this matter for our residents, where opportunities are accessible by anyone in the community. Now, we take that accessibility a step further with the release of the new Parks and Recreation mobile app. This app provides residents and visitors with everything they need to stay up-to-date with park closures, programming events, and trail conditions. Users can check the status of their favorite park amenities in real time, and sign up for activities. Our success isn’t just measured by the new programs and events we roll out each year, it’s also measured by the continued maintenance of all our facilities, and by our strategic planning as we anticipate the future. This year, we extended our Tortolita Mountain trail system and the Santa Cruz shared use path. We completed facility improvements throughout all our parks, including installing the new solar structure over the Crossroads at Silverbell District Park basketball court. This very simple upgrade opened up new opportunities for events, and in celebration, this facility became home to the new Hoops for Heroes Challenge between Marana Police Department and Northwest Fire District. We won this year, but who knows what the future may bring for Northwest Fire? We continue to find recreational opportunities in surprising places. Even in the heart of the desert, residents can enjoy the waterfront at El Rio Preserve. We plan to bring back disc golf with the addition of a recreation area nearby, and we are accommodating our nature lovers and bird watchers with an observation deck. This surprising oasis is one of Marana’s best kept secrets, but now we plan to maintain and enrich this preserve so anyone can come and enjoy the beautiful outdoors that is unique to our community. We understand that people come to Marana for our quality of life, and we are dedicated to keeping this momentum going as we grow into a larger community. Marana is truly a place where you can live, work, and play. Deputy Town Clerk Hilary Hiser speaks on public services in Marana. Right now, the Town of Marana is working hard to secure continued growth for our community by making essential investments in our built public infrastructure. A strong foundation for growth means a strong investment in infrastructure. From water improvements to major roadways, 2018 had several fantastic projects that directly benefit our citizens’ quality of life and ensure businesses can thrive. North Marana water reclamation facility. In North Marana, we completed the new water reclamation facility and aquifer recharge facility. These plants can now handle up to 10,000 new homes or businesses coming into the area. More importantly, the recharge facility will receive credits for 100 percent of the water stored from the Arizona Department of Water Resources. These credits allow the town to provide safe, reliable, and sustainable resources for our customers, and it secures Marana’s water needs for future generations. In December, the Water Infrastructure Finance Authority of Arizona approved a $15 million-dollar loan to the Town of Marana to address the issue of unregulated compounds affecting two Marana Water systems. We are now working on the design and construction of two unique advanced water treatment plants to reduce or remove those unregulated compounds. Investments in new water resources are essential to attracting new residents; however, the Town of Marana is just as committed to ensuring our current residents have the most up-to-date infrastructure necessary for an enhanced quality of life. The Adonis wastewater system project is just such an example of the Town’s continued commitment. This project replaces one of our historic neighborhoods’ outdated over-capacity lagoon system by connecting residents to our new wastewater reclamation facility. This past year we had two major road projects that will address the future traffic needs of Marana. The Tangerine Road expansion involved the combined efforts of the Town of Marana, the Town of Oro Valley, the Regional Transportation Authority, and Pima County. All of us worked together to build this major transportation corridor between our communities while maintaining wildlife linkages. This project literally paves the way for future development, and it establishes Marana as a regional destination. We anticipate that this road will serve as a center for commercial activity creating economic development opportunities for our local community for years to come. After nearly two years, one of the region’s largest projects has come to completion. The reopening of the Ina Road Interchange has revitalized our major commercial hub making it a destination once again. This project was an incredible feat by the Arizona Department of Transportation. It eliminated at-grade crossings for the Union Pacific Railroad, it reconstructed the frontage roads, and it installed fiber optic communication cables. 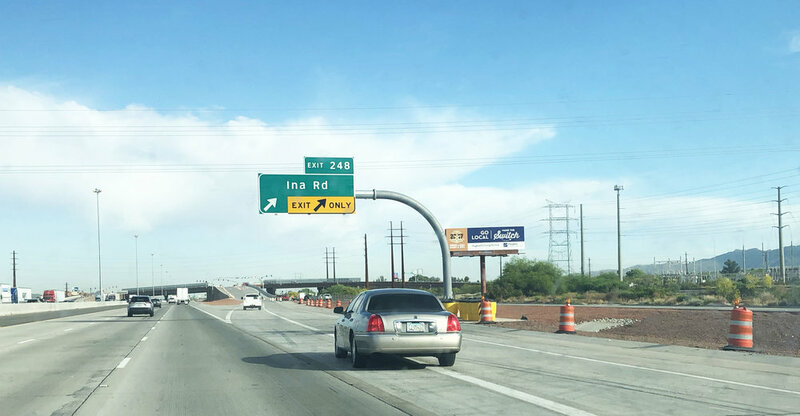 The Town of Marana and the Pima Association of Governments designed and funded two bridges over the Santa Cruz as part of the Ina Road Interchange project. Yes, losing access to 1-10 during construction was challenging for both residents and businesses. But all good things are worth the time and the effort to do it right. With this new overpass, we now have improved accessibility to Ina Road. Thank you to the Department of Transportation for pulling off this amazing project. The Town also made significant investments in the functionality of the Ina commercial area. The Ina Road Beautification project makes the area even more appealing to our customers and residents. It includes new asphalt pavement, fresh landscaping in the right of way, new street lights, sidewalks, accessibility ramps and fiber optic cables. By early summer this project will be entirely completed, and Ina Road will be unrecognizable from what it was over two years ago. The Town is excited for Ina Road’s re-opening and we invite the community to join us on May 4th for the kickoff of the Ina Road Celebration Weekend. Ina Road has been a team effort, and I would like to thank the Regional Transportation Authority for the role they played helping to get information out to our businesses. I would also like to thank the Marana Chamber of Commerce for their continued advocacy of the business community. Marana Police Facility grand opening. Let’s not forget that 2018 also saw the grand opening of our new Police facility located at the Marana Municipal Complex. This building was the result of months of public education and outreach, years of planning and development, and paid for with a community-supported half-cent sales tax. The new Police Facility is state of the art with amenities to accommodate our department’s various services and our officers’ continued focus on “unparalleled service, unwavering protection”. This new building has the capacity to meet the safety needs of Marana’s growing population for the next twenty years. All of these amazing projects took years of strategic planning, and they were not designed or built in a day. Providing citizens good public service, means foreseeing the future needs of the community, and making strategic decisions now, in the present, to ensure Marana is a better place for future generations. At this very moment, the Town of Marana is designing the blueprints for the future. The General Plan is the Town’s roadmap for tomorrow. Town staff is working hard with members of the public to draft the 2040 General Plan Update. This visionary document along with the updated Land Development Code will help guide all aspects of the town, from growth and development, to health and safety, to town services, and the environment. Other strategic documents in the works include the Marana Parks and Recreation 10-year master plan, the North Marana Drainage Study, the Sewer Conveyance Master Plan, and the Potable Water Plan. These strategic plans and our many public infrastructure projects lay the foundation upon which the Town of Marana can support a strong quality of life for our residents and businesses. However, it is just as important that we continue to provide a high-quality level of service to maintain our assets. Our Public Works Department works hard every day in our community, and the Town is proud of the work they’ve done to keep Marana clean and beautiful. Thank you for this opportunity to share the amazing things we’re doing here in Marana. We’ve accomplished so much, and we have plans to accomplish so much more. Thank you. Present the Workshop 1-3 results. A total of 14 people attended the two open houses. Upon arriving, each attendee was asked to identify on a map, generally, where they live or work in Marana. This was done to see what areas of the town were represented in the open house. Attendees at the April 10th open house were widespread, with a majority residing in Gladden Farms. Attendees at the April 11th open house were mostly from communities along Silverbell Road, such as Continental Ranch. The open house began with a short presentation informing attendees of the status of the General Plan Update, including the Map Atlas, the organization of the General Plan, and the results from the first three workshops, which will inform the development of the General Plan Update. 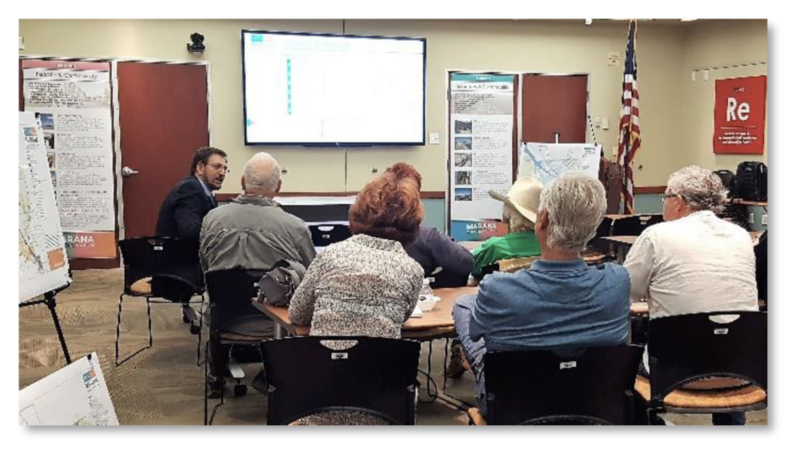 After the presentation, the meeting concluded with an open house format in which attendees could view boards and banners related to the General Plan themes, Map Atlas maps, and the draft Future Circulation map. Comment cards were made available for any comments that attendees had throughout the open house. There’s still time to participate! Interested in attending the next workshop? Mark your calendars! Expect intermittent lane closures on both eastbound and westbound I-10 between Twin Peaks and Sunset roads for sign work. Eastbound I-10 will be reduced to a single lane between Cortaro and Ina roads. Flaggers will control traffic on Ina Road near I-10. Work is scheduled to be complete by 5 a.m. Tuesday, April 16. Expect single lane closures on I-10 between Orange Grove and Cortaro on the night of April 15. The Government Finance Officers Association is pleased to announce that the Town of Marana, Arizona, has received GFOA's Distinguished Budget Presentation Award for its 2018-2019 budget. When a Distinguished Budget Presentation Award is granted to an entity, a Certificate of Recognition for Budget Presentation is also presented to the individual(s) or department designated as being primarily responsible for having achieved the award. This has been presented to Starla Anderson, Interim Finance Director. On Friday, April 12, the Town of Marana held their second Marana Macro Machines event. 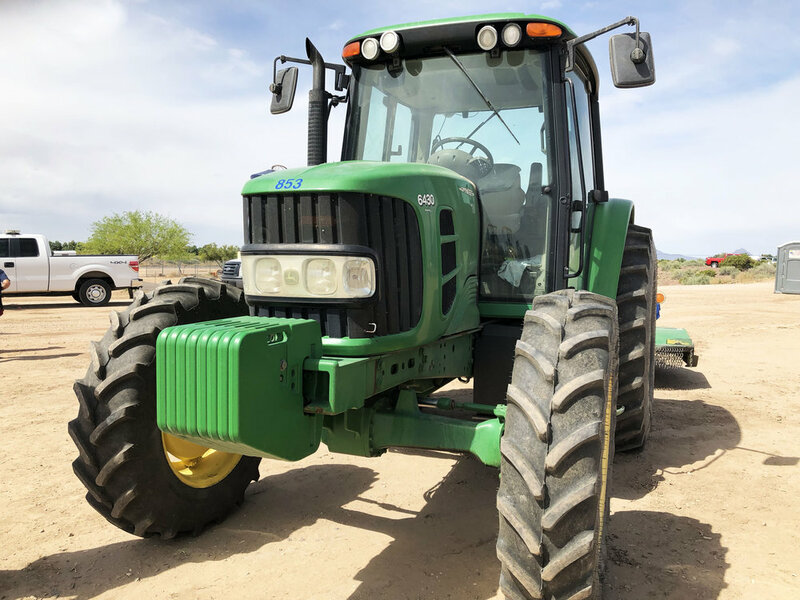 The event allowed people to get up close and personal with the machines that help Marana Town Staff and their community partners do their jobs to make Marana a great. This event featured departments and divisions from the Town including Streets, Traffic, Facilities, Fleet, Pavement Preservation, Engineering, Police, Water, Animal Services, and Parks and Recreation. Additionally Northwest Fire, the National Weather Service, the Air National Guard, and several contractors were also on hand. “This is a great way for our employees to interact with the public and show them what they do,” said Marana Public Works Deputy Director Fausto Burrell. Marana Macro Machines was held at Marana Heritage River Park and was attended by students from area schools as part of a field trip opportunity, as well as a number of residents. 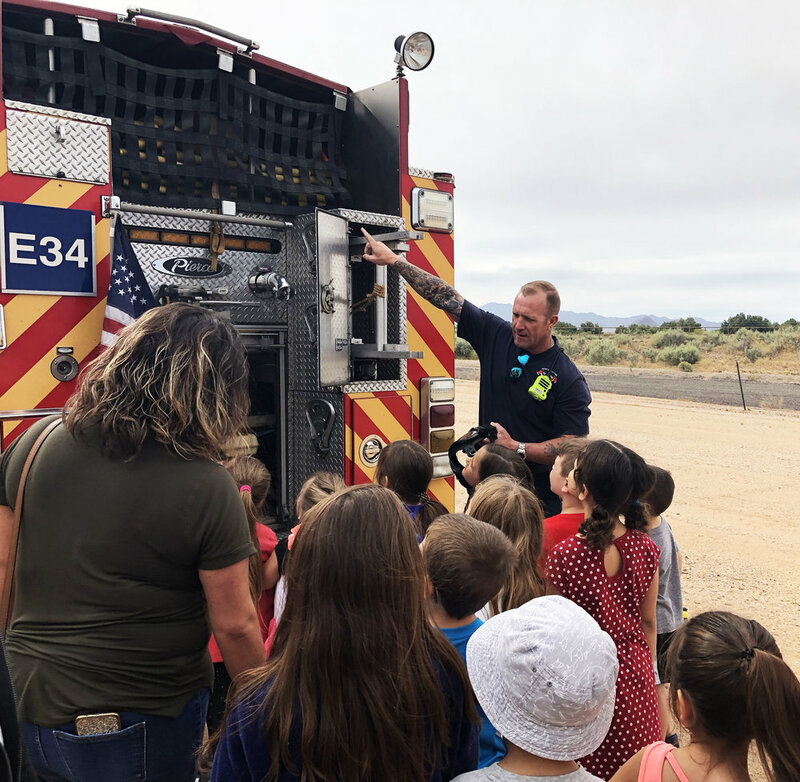 The firetrucks of Northwest Fire were among the most popular for the students to explore. A drum roller is one tool used to keep Marana’s streets so smooth. Kids of all ages were able to check out the vehicles. One of the many tractors used by the Town of Marana Public Works Department. There are different tools for different jobs. The scoop on this vehicle can move a lot of dirt and materials. Marana Water employees educate students on the importance of water conservation. Marana Water were giving away free snow cones that attracted a long line. A Public Works employee explains how a crack sealer repairs roads. Looking into the jaws of one of Marana Parks and Recreations’ vehicles. The Pima County Bomb Squad had a few of their robots on display. Marana Water was able to show off a lot of the tools they use every day to service Marana Water customers. Ina Road Beautification Project final paving dates. The Town of Marana is nearing the completion of the paving portion of the Ina Beautification Project. Below is a schedule of the final paving projects. Paving on side streets North of Ina road will begin on Thursday April 11 and continue through April 19th. Paving will begin at 7:00 a.m. and continue to 4:00 p.m. Expect delays and use alternate streets when possible. Tuesday, April 16, 2019 – Meredith Blvd. Monday April 22 – Friday April 26, 2019 Ina road from Ulene Place to the Canada del Oro Bridge. Pictured from left to right: Jeane Jensen (Town of Gilbert), Asia Philbin (Marana Water), Senator McSally, and Brad Hill (City of Flagstaff). Asia Philbin of Marana Water was in Washington DC last week representing the state of Arizona and the Town of Marana at “Water Week.” Every year, water professionals representing community water systems and water-related organizations converge on DC to discuss current water-related issues with the EPA, Bureau of Reclamation, congressional delegations, and others. Philbin is the Arizona delegate for the American Water Works Association. She and others were able to discuss items with Senator Martha McSally and Senator Kyrsten Sinema, as well as many other representatives. They specifically explained the need for continued funding for water-related infrastructure and the importance of addressing emerging compounds like PFAs. Water Week is the only national policy event of the year that draws together water professionals from across the country to advocate for the unique needs of drinking water and clean water utilities. It is not only an opportunity to advance policy priorities for the water utilities, including greater federal investment in water infrastructure, but also to celebrate the role these utilities play in communities nationwide. The anchor event of Water Week is the National Water Policy Fly-In. “As a new Congress takes control and infrastructure issues take center stage, your attendance and engagement are more critical than ever,” said the Water Week website. Although the National Water Policy Fly-In serves as the anchor event of Water Week, there are other events in Washington and around the country that celebrate the importance of water and water utilities. In DC, water advocates participate in Congressional Briefings on water and celebrate with Members of Congress at a congressional reception. Outside of DC, utilities in communities from coast to coast celebrate Water Week by hosting facility open houses or other events that highlight the important contributions and benefits that drinking water and clean water utilities provide to support their communities. 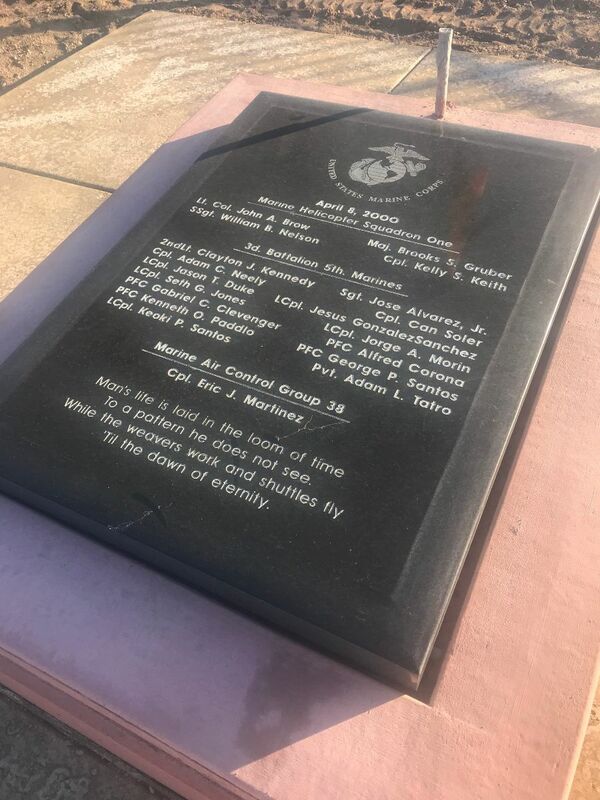 Tom Wilson, Sr., Commandant of the Nighthawk 72 Marana Detachment #1344 Marine Corps League, announced today that there will be a Memorial Service at the Marana Regional Airport on Saturday, April 6, 2018 at 10:00AM to honor the 19 U.S. Marines that were tragically killed in an MV-22 Osprey Tilt rotor aircraft accident at the Airport on April 8, 2000. The ceremony will include posting of colors by the Marine Corps; wreath laying by various organizations; guest speakers Honorable Mayor Honea, Department of Arizona Marine Corps League Commandant John Rodriguez, and Cpl Joshua Hanson, 3rd Battalion 5th Marines 0331 Machine Gunner; rifle salute, taps, bagpiper and vocalist Amanda Sinner. Additional Background Information The MV-22 Osprey Tilt rotor aircraft was conducting a training mission in support of Operational Evaluation (OPEVAL) when it went down at the Marana Regional Airport in Marana, Arizona on April 8, 2000. During the mission, the crew and Marines conducted Non-combatant Evacuation Operations (NEO) exercises as part of the Weapons and Tactics Instructor Course, with Marines embarking and disembarking the aircraft. The mission was conducted at night utilizing night vision goggles and forward looking infrared radar to enhance night operational capability. This mishap aircraft was part of the Multiservice Operational Test Team, based at Patuxent River, Maryland, but was temporarily attached to Marine Aviation Weapons and Tactics Squadron-1 at Marine Corps Air Station Yuma, Arizona.